This nice selection of lime green red Christmas Ornaments is just perfect for a beautiful tree. The color combination lime green and red is simply stunning for Christmas decoration! I found some really pretty ones to choose from which will come handy now during the gift giving times! I hope this list will help you find just the ones you’ve been looking for as well! Although I am not too set on a specific color combo for Christmas, lime green and red really resembles a more traditional color scheme to me. I do like other combos like purple and silver or gold and red which is also more traditional. But these days it’s pretty common to have several Christmas trees, I like one for my sewing room with just sewing related decoration and my husband has his own Steelers Christmas tree. But today, let’s talk lime green and red! My absolutely favorite from Amazon are these two! 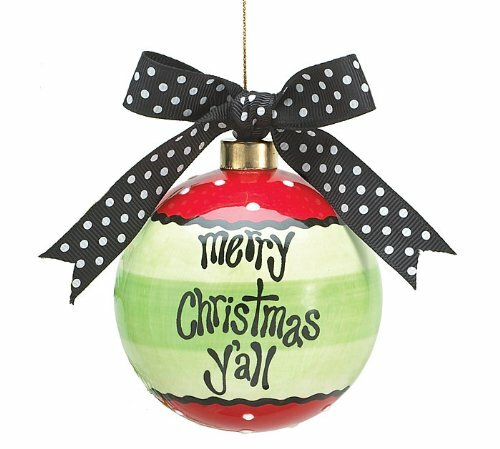 The first one is a pretty round ball with a lime green red christmas ornament with a pretty black/white bow on it. I love the hand painted touch and the red portion of this ornament has tiny white dots, so cute!! Definitely my favorite from this collection! But then again, the second one it UBER whimsical with it’s overfilled lime green cupcake. 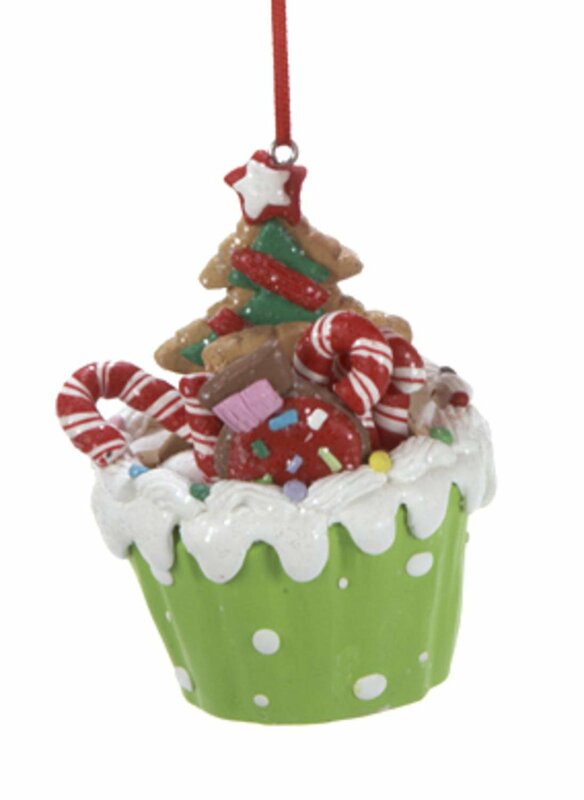 It is from the Gingerbread Kisses Collection and made from clay dough, then painted with glossy Christmas colors. Just darling! Another site I browse frequently is Wayfair when it comes to home décor and especially for finding pretty Christmas ornaments. I love browsing their holiday decoration pages and came across several beautiful lime green and red ornaments. The two first ones are ball shaped and feature shimmery glitter designs. I adore chevron and can totally see the chevron glitter ball ornaments on my tree this year. Or how about the cute polka dot candy ball ornament? The hue of the lime green looks simply amazing and so shiny! Last but not least, one of my favorites are the shiny drop ornaments. 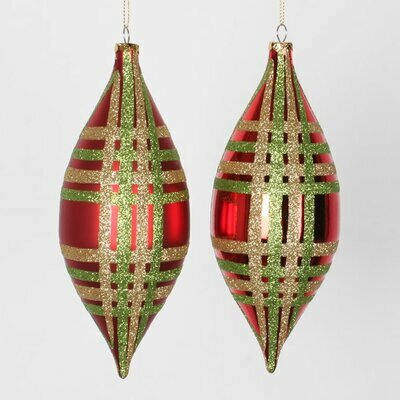 The simple over crossing lines in gold and lime green glitter add so much class to these ornaments. I also love personalized home décor items and when it comes to Christmas decoration, I adore unique and special ornaments. 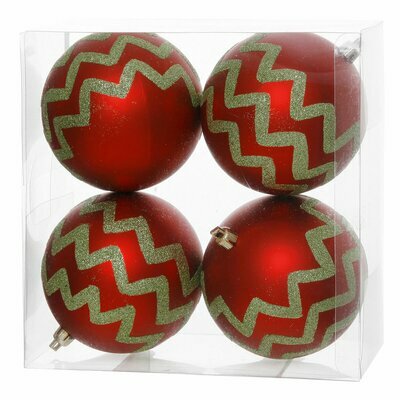 At Zazzle I came across some beautiful monogrammed ornaments such as this round holiday plaid ornament. This store also has different other shapes such as a star, a square and more. Then the green dotted star ornament that says “Merry Christmas” is just so precious! This store also offers different shapes and you can customized the words as well. So very unique! Lastly, I like the idea of displaying the year on an ornament like the last shown one has. 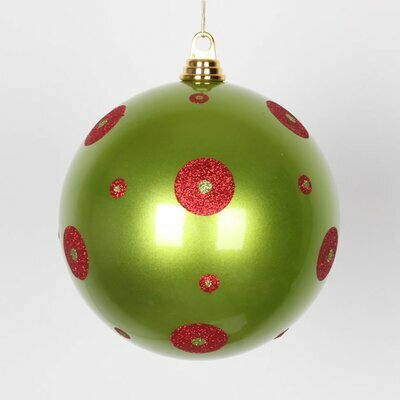 The colors work really well for a lime green and red Christmas ornament style. One last tip before I close this post, if you haven’t found your favorite yet, check on ETSY! So which one is YOUR favorite (or favorites) lime green red Christmas ornaments?? It’s so hard to choose, right? PS: If you like lime green & red holiday décor, check out the other decorating ideas! !